In which house does Shani reside in your Kundli? Know how it affects your life! 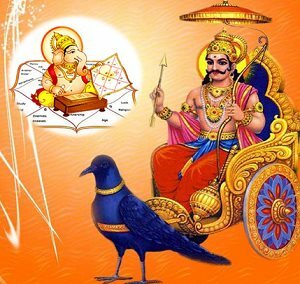 Lord Saturn or Shani dev, as commonly known as in Indian Vedic astrology is said to be the most important and powerful planet in the zodiac. In fact, lord Saturn is associated with difficulties and hurdles. Which is not the case in reality. Lord Saturn would reward a native considering their Karma or deeds of the native. Hence, lord Saturn is termed as the Judge of one’s karma. Therefore, many a time, a learnt and expert astrologer would suggest sade sati remedies (Saturn’s 7.5 years transit) especially if there is any shortfall in good deed being accumulated. These remedies can be in the form of Shani Shanti pooja, or even wearing a Blue sapphire gemstone, depending upon the sade sati report generated by the learnt and expert astrologer. Still there are many more remedies which are suggested, but would need detailed analysis. Along with being judgemental, Lord Saturn is also the reason for cautious actions, studious behaviour, silence and reserved nature, sincere and faithful conduct etc., Therefore, Saturn is not always dreadful as it is explained in some astrological literature. In fact, the importance of sade sati is inexplicable, since some of the good qualities mentioned above is seen only during Sade sati . Therefore, not always one would need remedies during Sade sati . Now, along with the transit of Lord Saturn in the Zodiac, let us evaluate how will be the impact of lord Saturn in the twelve Zodiac signs. Since, Saturn’s impact will vary for all the twelve houses, accordingly. As, we at Future Point, a team of Veteran astrologers, have brought together the various experience and knowledge of our dedication and empirical study on ow will lord Saturn will affect a native life. The efforts of our study is a hard work for over three decades. To know more in detailed, readers can get their sade sati analysis done or generate an online Kundli report to know more. Further, you can also write to us at amil@futurepointindia.com. for one to one consolation. Saturn in the 1st house of a native might have a stern exterior. This is because, the native is supposed to be guided by the values propounded by lord Saturn. This makes them Judgemental and powered by Intuition. Hence, they are responsible in all walks of life. The misconception is that Saturn in the 2nd house will lead to difficulties in possessing materials required to live. Which is not true. In fact, Saturn in the second house reflects the true attitude towards real world possessions. Though pessimistic at times, but would be sincere in efforts to accumulate wealth. This makes a native very prudent. The third house indicates the natural way where a native would act and communicate. In fact, the third house lies in the unconscious operating of the mind in familiar surroundings. Hence with Saturn in the 3rd house will not only make the native courageous but will be most responsible amongst siblings. The 4th house in Vedic astrology is said to be Sukha sthan or house of comfort. Sometimes it is seen that Saturn in the 4th house of a native’s horoscope would devoid them from family comfort. But as an individual, they reciprocate with care and warmth to their descendants which they missed in childhood. The 5th house is the house of play and self-expression in a natives’ horoscope. The fifth house is all about spontaneity. Saturn seriously impedes spontaneity. But not to quell spontaneity, his intention is to make one think and then act. Since, this forces a native to apply their mind and avoid casual approach. Saturn is most comfortable in the sixth house. This house rules attitude towards work and service in a native’s horoscope. In fact, it also represents the native’s health. Presence of Saturn in the 6th house can reduce immunity since the native is always workaholic. The 7th house is for marriage and partnership. This is exactly opposite to the 1st house which is the house of self. So, the way one would deals with others is seen through this house. In fact, Saturn in this house will make the native less social. Sometimes often troubles. Thought the good part is that they are sincere towards their partner. This is one placement which may not be auspicious for Saturn. Since, the 8th house is the house of longevity. Saturn’s presence in this house may not reduced longevity but can lead to some ailment since birth. The 9th house signifies ideas, philosophies, and rationalizations of the conscious mind. It opposes the third house which governs the unconscious mind. Usually in this placement, Saturn makes a person very religious. Sometimes, it can also make the native a Sadhu or Pontiff. In the context of home and family, the 10th house signifies a native’s attitude while playing the “fathering” role. Saturn in the 10th house makes the native take on fathering responsibilities seriously. The native will be concerned with the development and growth of their child. Also, from Career point of view, a native is always serious and dedicated to achieve what the desire. This is the best position for Saturn. In fact, the 11th house is the house of desire and achievements and the placement of Saturn in the 11th house is assured to achieve what one is destined to achieve. Though the achievements can be slow, but certainly assured and successful. The 12th house is the stand of Moksha or liberation. This does not promise that the placement of Saturn in the 12th house means getting liberated. In fact. Saturn in this house will make the native follow the values strictly to accurate good deeds. This will form the path towards liberation.